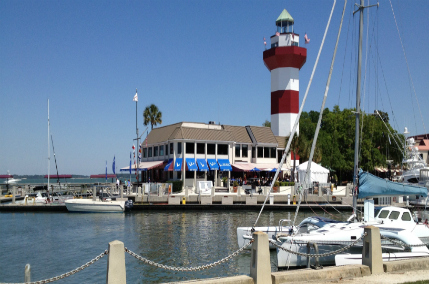 Sea Pines is the heart of Hilton Head and anchors the southern-most tip of this 14-mile long barrier island. Comprised of 5,200 private acres and 5-miles of Atlantic oceanfront shoreline, tidal creeks, saltwater marshes, woodlands and a 605-acre Forest Preserve, Sea Pines is the original and largest of the Hilton Head developments. With environmentally sensitive design and architectural guidelines, abundant open space, tree preservation and earthen paint tones, Sea Pines residences blend in with nature. Sea Pines is home to 15 miles of scenic bike paths, two marinas, numerous shops, restaurants and cafes. There are an abundance of activites from golf to tennis and water sports. Sea Pines is also home to the RBC Heritage Golf Tournament, a favorite stop on the PGA TOUR.